On July 16, 2015 Open Embedded Linux Entertainment Center (OpenELEC) announced the release of the 3rd Beta (test version) of OpenELEC 6.0 ( or OpenELEC 6.0 Beta 3), formerly known as OpenELEC 5.95.3. 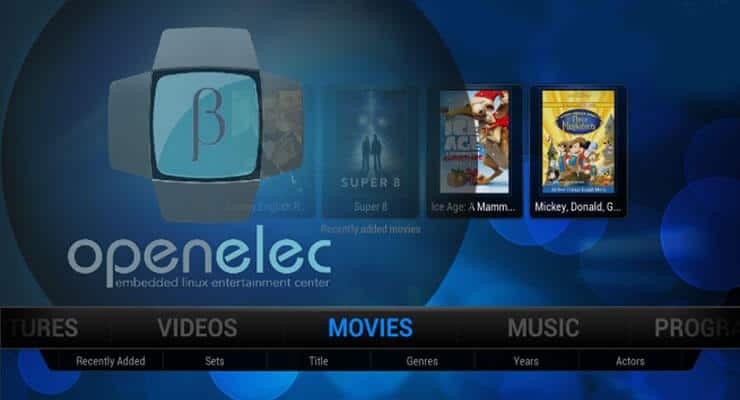 OpenELEC is a Linux distribution designed for home theater PCs and based on the Kodi media player. What’s New in OpenELEC 6.0 Beta 3? The biggest change in OpenELEC 6.0 Beta 3 is the upgrade form Kodi-14.2 Helix to Kodi-15.0 Isengard (RC 2). OpenELEC 6.0 Beta 3 OS now supports latest ffmpeg (2.6), Mesa (10.6), Xorg-1.17, libva-1.6, Kernel 4.1 (except iMX6 / WeTek_Play platform), systemd (219), Binutils (2.25), Glibc (2.21), libressl (2.1.7) and LLVM-3.6. The OS is also updated with recent releases of all packages and support for Xorg's new input driver system based on libinput and updated many Xorg libs and GPU drivers to more modern releases. OpenELEC officially announced to support devices such as The WeTek's WeTek Play, Solidrun CuBox-i/TV, Solidrun Hummingboard, and OSMC's Vero. Audio encoder, audio decoder, PVR and visualization addons are no longer included in OpenELEC 6.0 Beta 3 OS, but are available via Kodi's addons. OpenELEC’s PVR backends (such as VDR and TVHeadend) are included and will install needed dependencies automatically. For complete list of changes to features and core components, please refer to OpenELEC 6.0 Beta 3 release notes. You can upgrade the software to the latest OpenELEC 6.0 Beta 3 version manually or automatically. Please follow our OpenELEC Manual Update guide or OpenELEC Wiki for detailed instructions. For older versions, data backup and manual upgrade to OpenELEC 6.0 Beta 3 are highly recommended. Daisy is a starting part-time blogger with brief experience in software engineering and interests in many other areas. How to manually update OpenELEC to Beta? How to install Glype on Ubuntu Server?